I’ll be playing with a band line up featuring Paul Connop on ambient/soundscape guitar and Anja McCloskey on accordion. Filmmaker Anthony Davies has just released new footage of live tracks from the full band show at Birmingham Conservatoire last December, view here. 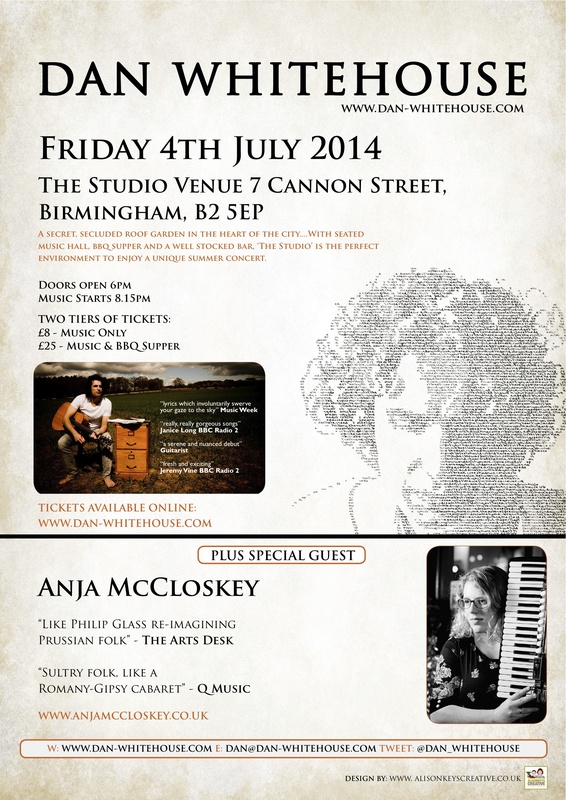 An exciting triple bill featuring Esther Dee and Anja McCloskey. St Pancras Old Church has been a site of meditation for over 800 years, and makes a truly unique music listening venue. The room has a great natural reverb, seated, there’s an upright acoustic piano, and it’s located within 5mins walking distance of St Pancras/Kings Cross and 10mins from Euston rail stations. Not forgetting Moseley Folk Festival on Aug 30th, the next few months are starting to look really exciting…thank you for reading this, and continuing to come out to my gigs.